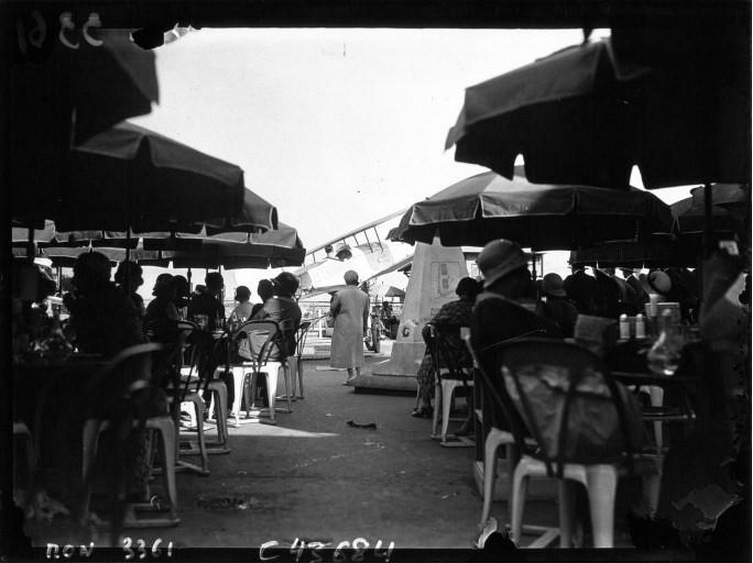 I came across these curious photographs from the French National library, dated to 1932 and labelled, “École d’aviation sur le toit des Galeries Lafayette” – Aviation school on the roof of the Galeries Lafayette. 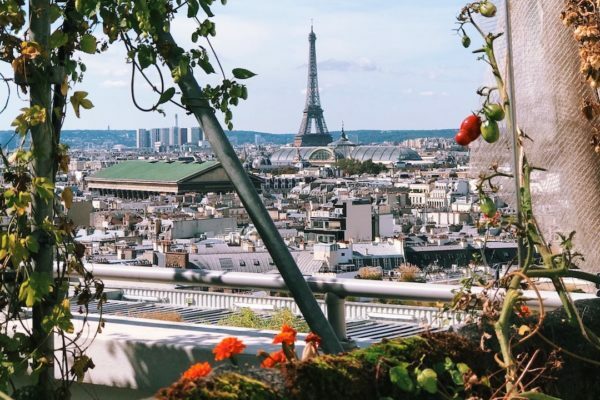 A rooftop flight school above one of Paris’ most famous department stores, smack in the middle of the city’s busiest shopping district? I had to know more…. 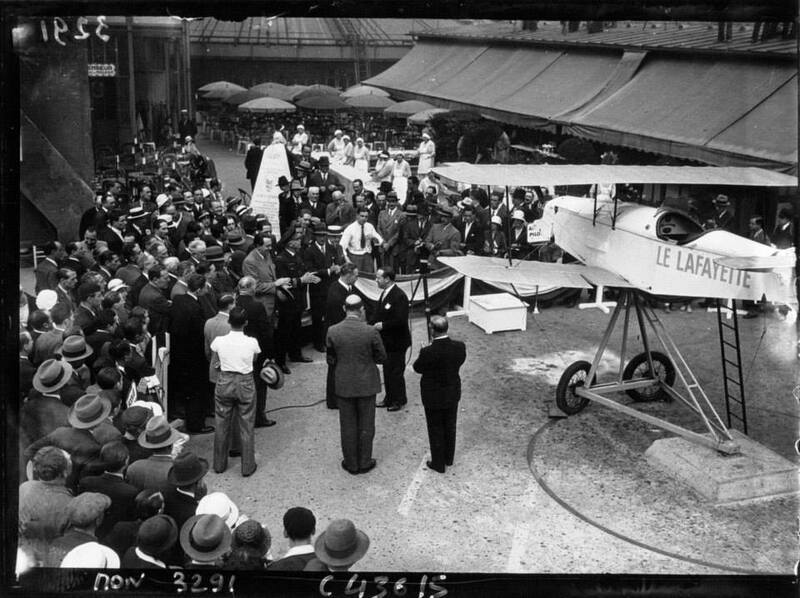 As part of a publicity stunt on the eve of the Golden Age of aviation, the Galerie Lafayette organised a competition, challenging the most adventurous of pilots to land a plane on the roof of their store for a prize of 25000 Francs. 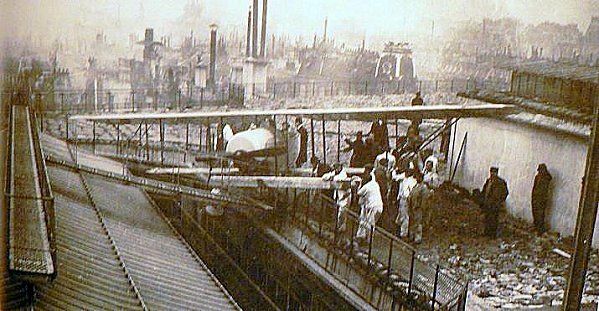 Only thirty metres above the bustling streets of Paris, the potentially disastrous challenge was quickly condemned by authorities, forbidding anyone to attempt the feat. 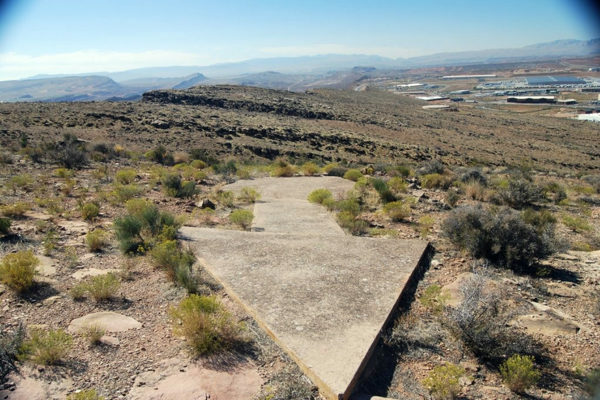 This wasn’t enough to deter aviator Jules Védrines from making his attempt. 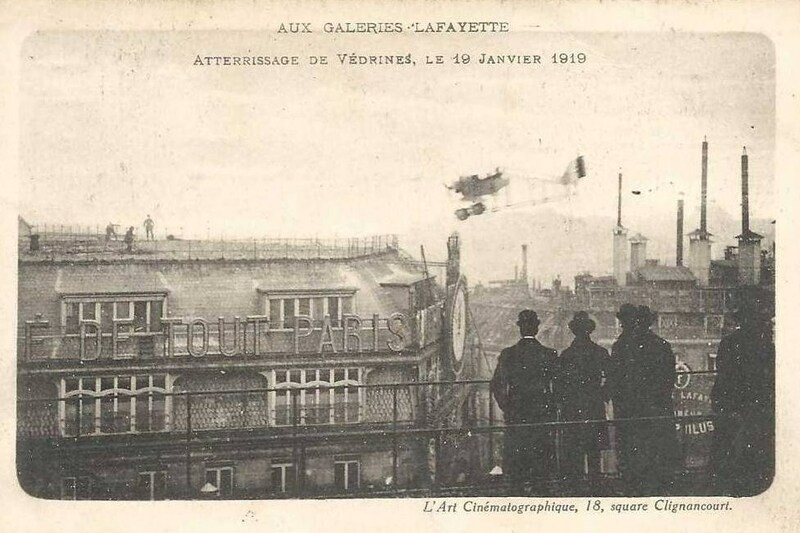 On the 19th of January, the dare devil pilot successfully landed on the roof terrace of the Galeries Lafayette, making him the first aviator in history to land on top of a building. 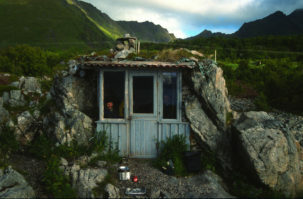 Six francs of his prize money was deducted however for landing in a prohibited area of the roof (and no doubt causing some damage). 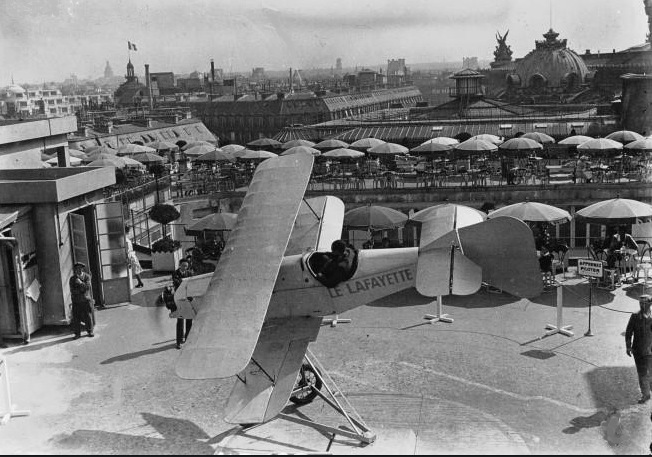 Jules Védrines Caudron G.3 plane displayed on the roof of the department store. 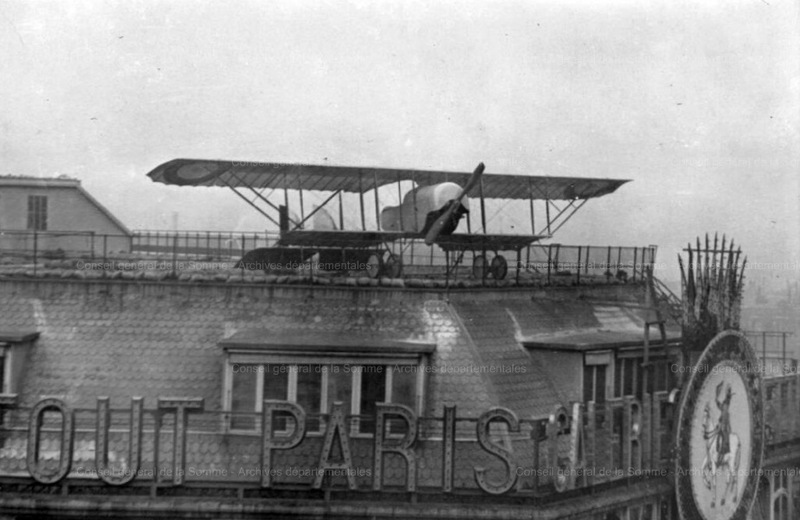 It’s not clear how long it remained up on top of the Galerie Lafayette, but only a few months later in April 1919, Jules was killed in a Caudron C-23 on a flight to Rome when attempting a forced landing after an engine failure. 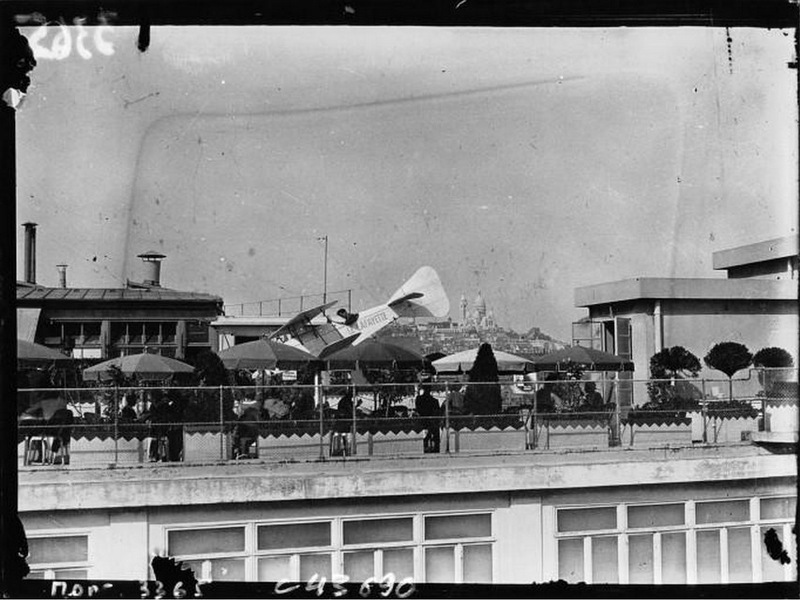 Fast-forward to 1932 and this rooftop ‘aviation school’ makes a little more sense, despite the lack of information available. 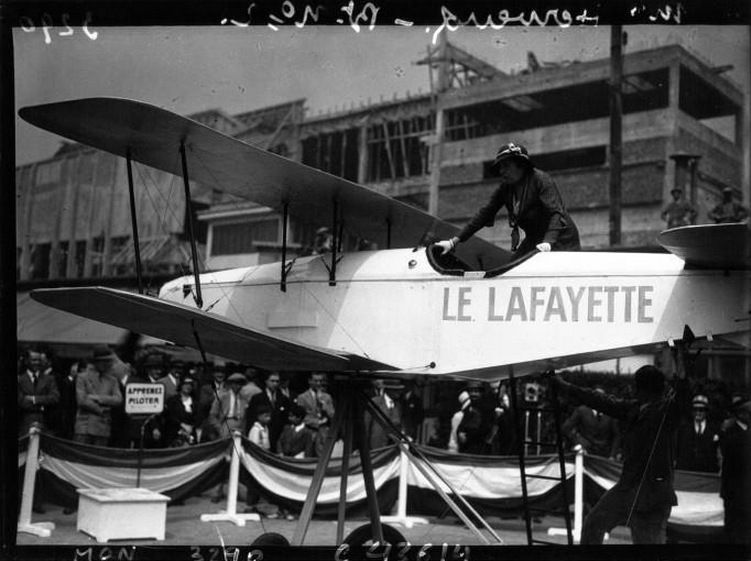 Marking twenty years after the department store had first opened in 1912, the attraction was most likely yet another publicity stunt, giving a nod to Jules Védrines’ memorable roof landing. 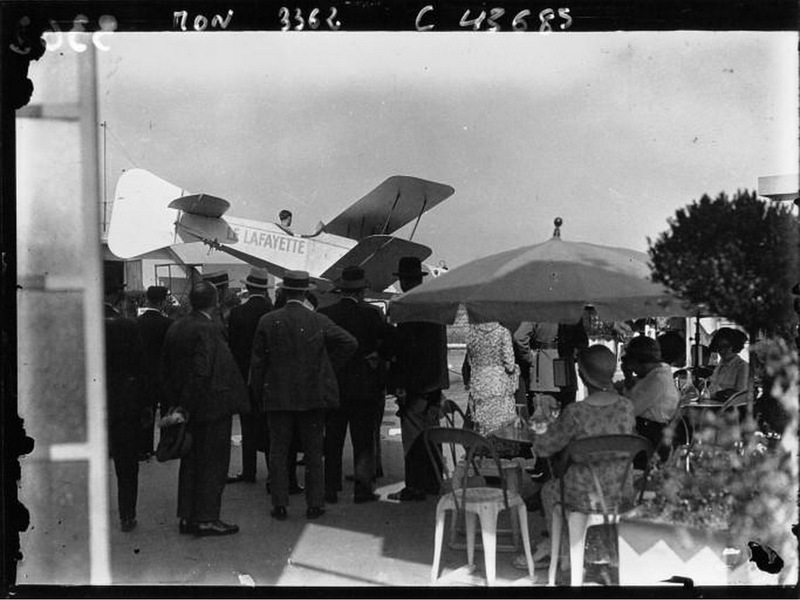 With café tables on the panoramic terrace, men and women queuing up behind “learn to fly” sign posts to have a go in the pilot seat (see below), my guess is that it probably wasn’t as much a real ‘aviation school’ as it was simply a fun day out at the Galerie Lafayette. 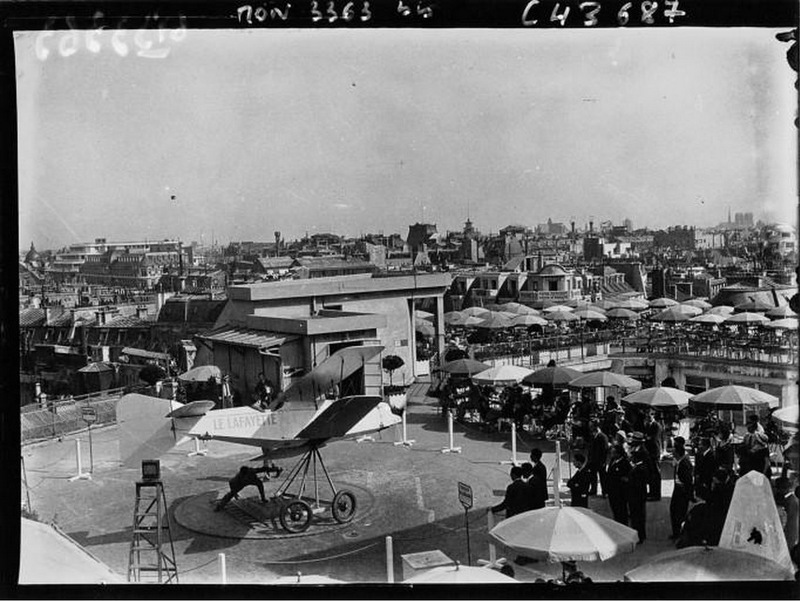 No doubt this early flight simulator stationed above the rooftops of Paris would have inspired some young pilots-to-be during the Golden Age of aviation! 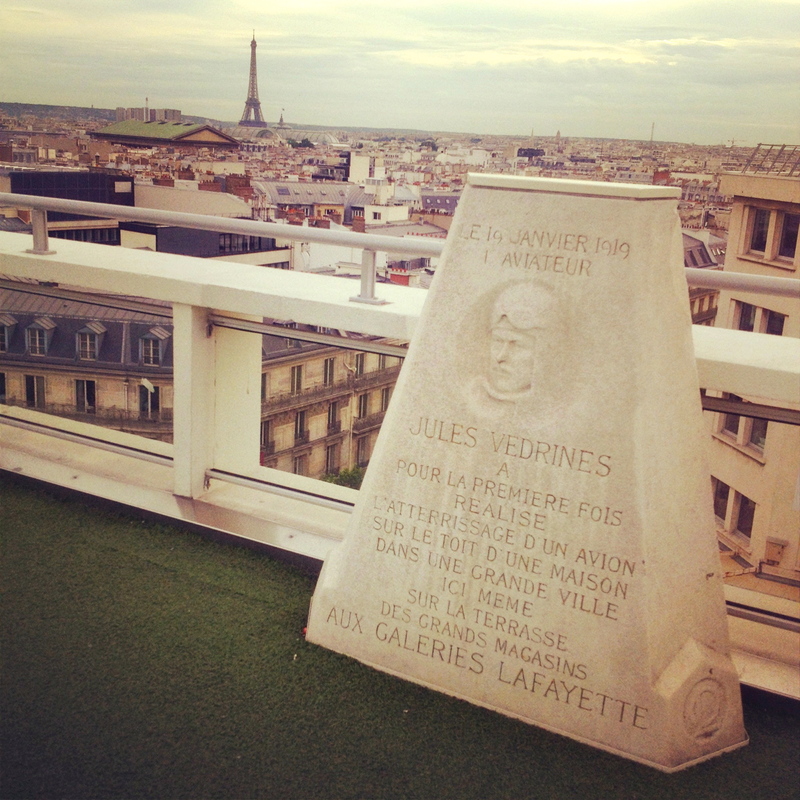 Today you can still find a stone plaque on the store’s roof terrace, commemorating the Jules Védrines and the Galeries Lafayette’s unexpected page in French aviation history! PS. 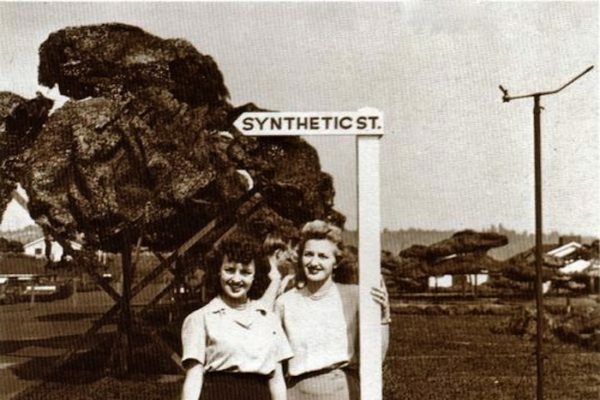 Any further information about the “aviation school” is most welcome!